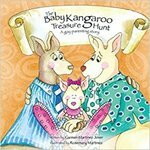 Two kangaroos: Jack and Sam, a gay couple, have their own baby by means of an egg donor and surrogacy. This story enables children to easily understand how they were conceived and it helps gay parents explain in an easy and loving how how their family was formed. Jover, Carmen Martinez, "The Baby Kangaroo Treasure Hunt" (2009). DIVerse Families. 1096.